Diversify your wardrobe with this Wrangler Riggs Men's Oatmeal Heather 3W750 OH Long Sleeve Henley Shirt. Worn alone or under a sweater, this Wrangler shirt is a durable, comfortable choice for work or play. Made of a 7-ounce jersey in a cozy blend of 90% ring ... (see full details) (see specifications) #WRG3W750OH. Diversify your wardrobe with this Wrangler Riggs Men's Oatmeal Heather 3W750 OH Long Sleeve Henley Shirt. 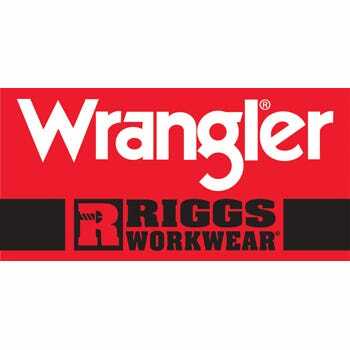 Worn alone or under a sweater, this Wrangler shirt is a durable, comfortable choice for work or play. Made of a 7-ounce jersey in a cozy blend of 90% ringspun cotton and 10% polyester, this oatmeal heather top is the perfect weight to wear alone or layered. It's thick enough to keep you warm, but light enough to dry easily if you perspire or get caught in the rain. And on cold days, you'll love to layer this cozy-soft work shirt under sweats or sweaters. With two buttons at the neck, you can open or close the collar. The neck seam is taped for comfort, and there's a tagless label, so you won't be annoyed by scratchy seams or tags. There is a left chest pocket and a hidden utility loop, adding convenience to this pullover. The side seams are vented and taped for durability and comfort, and the men's long-sleeve shirt is made with triple-needle stitching. Ultimately, this means this design is constructed to be rugged, as the seams are sewn to stay in. You can count on Working Person's Store to deliver brands that work, like this Wrangler Riggs Men's Oatmeal Heather 3W750 OH Long Sleeve Henley Short that looks great and wears even better. Order yours today! I wear this type of base layer shirt all winter. With these Wrangler Riggs shirts, there is the added bonus of a pocket which I use continuously. I wear the tall sizes and these are some of the best. Tuck in and stay all day. Very happy with the fit and quality of the shirt. Thank you Working Person's for introducing this product to me. Recommend to others? ABSOLUTELY! Warm, comfortable, and last a lot longer then other shirts I've owned. Would recommend them to anyone that wears the Henley style shirts. Great colors offered and just the right size for me. Will buy them again when needed. comfortable, rugged shirt. Own in five colors. I wear them to work and when working around the house. They last for years and I really only have had to replace them when worn for very dirty jobs and can't get the stains out. Priced low enough that I don't have to worry about ruining them. Will probably buy more. Purchased several of this shirt in different colors to wear when doing weekend work. Fits well and is comfortable and the price is right. Color selection is good. Just ordered some more. Great shirt for yard work and camping. I recommend this shirt if you are looking for a good T-shirt to wear. Wrangler Riggs Shirts: Men's Oatmeal Heather 3W750 OH Long Sleeve Henley Shirt is being added to your cart.